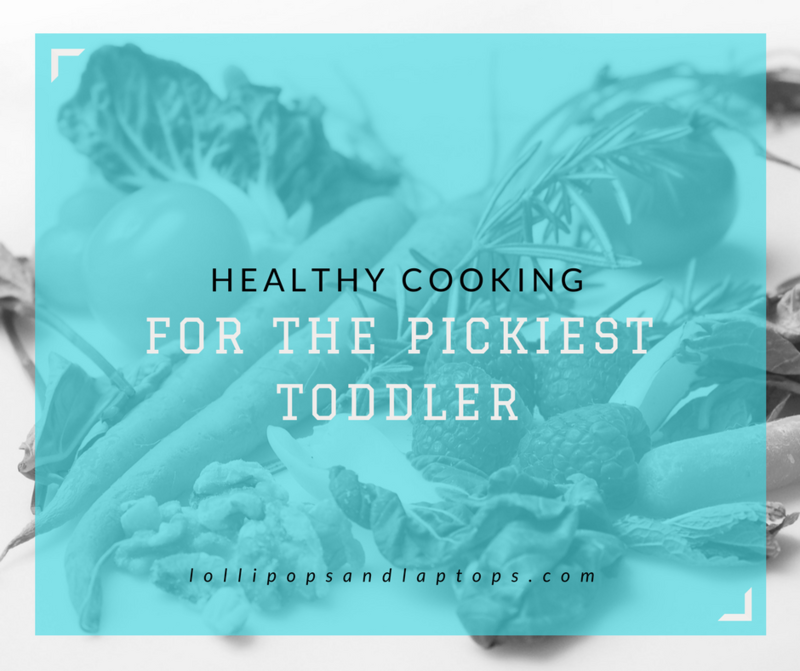 I’m sure she’ll grow out of at least some of the pickiness–I was a very picky child myself–but I’ve been worried about her long-term health from a lack of variety and healthy food. Thus began my search for some recipes in which I could hide veggies and that she’d actually eat. The key here is you CANNOT, under any circumstances, have visible “green things” in the food. And if your child is as keen as mine, he or she will call you out when you try to pass the shredded zucchini off as herbs. 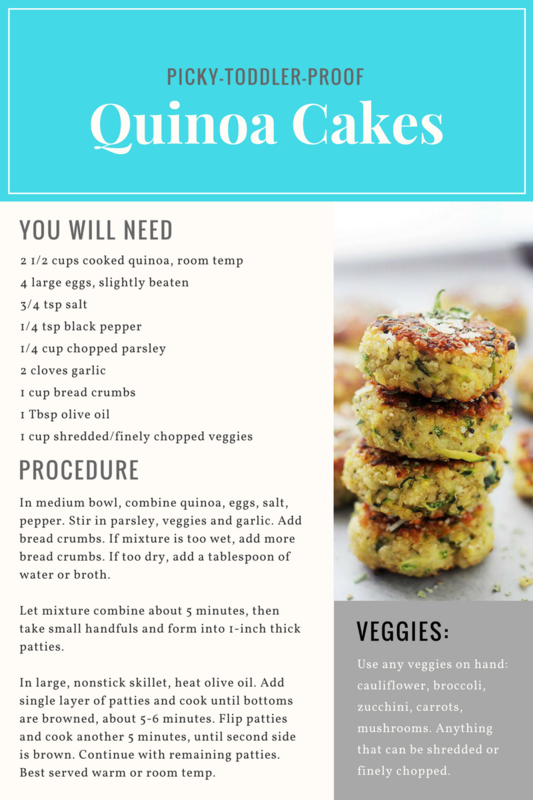 Below are three recipes that I actually managed to trick my child into eating, so you can, too! My kids LOVE smoothies. They even love to drink my green juice from the juice bars when they’ve finished their more palate-friendly fruit smoothies. Our mornings are rushed and they usually eat some flavored Greek yogurt and a granola bar, so I swapped it out a few days a week for a smoothie. I use about a cup of Greek yogurt–I use vanilla or strawberry after my daughter refused the one time I used plain yogurt–some frozen berries, fresh fruit if it’s available (banana, apple, nectarine, pineapple, or whatever’s sitting in the fruit bin) and a heaping handful of spinach. Add ice if it’s too liquidy. Sometimes I’ll add oats or chia or flax seeds for a little power boost. I’ll typically make it in the Nutribullet, blend, fill the two kids’ cups, then add some more and take the blender cup as my own. If I’m making enough for the whole family, I’ll use our Blendtec. Although you can’t taste the spinach, it can turn the smoothie green, so if your kid will be turned off by that, go with a stainless steel cup like this or this so they can’t see it. 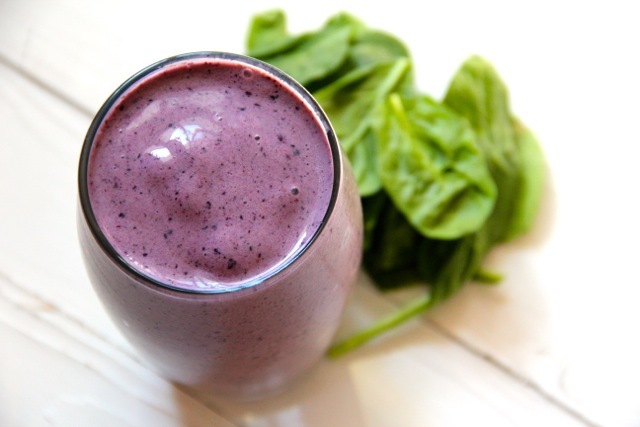 Darker berries tend to keep the smoothie a purplish color. I’ve never personally done it, but these recipes are easy to pre-measure and store in freezer bags (minus the ice and yogurt) so they can be thrown into the blender in one fell swoop, but I just eyeball my measurements so I wouldn’t really know how much to put in each bag. Full disclosure, so far I only got our toddler to eat these once. Jury is still out on whether it will happen again. But they really are so delicious. I got this recipe from my mom, and I love it because you can eat them warm or cold, so I can pop it in the kids’ lunch boxes as an alternative to the plain turkey sandwich I usually send. 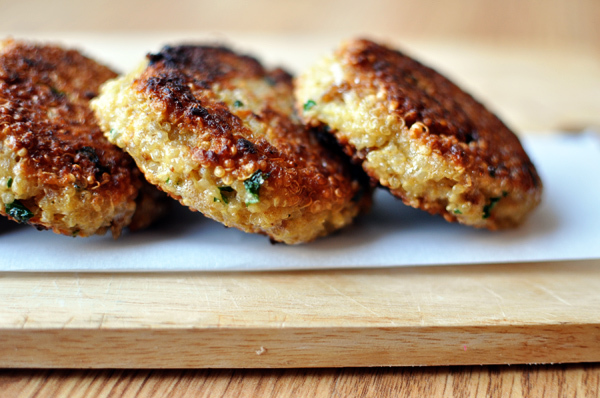 They’re hearty and you can make a batch of them and use them throughout the week. I also like it straight out of the refrigerator as a snack alternative. I use zucchini and carrots in mine because they’re mild in flavor, but you can experiment with different veggies. The one constant I can count on is my daughter eating spaghetti, so this was a tricky one because I didn’t want to ruin it by including something she didn’t like. 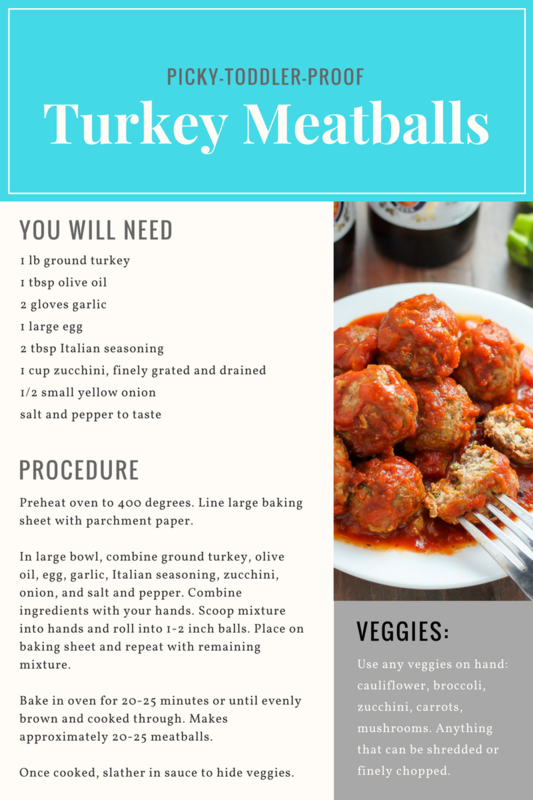 Our regular family recipe for spaghetti sauce includes ground turkey, so I initially tried this by making the meatballs and using a canned spaghetti sauce, since it felt like too much meat. My daughter wouldn’t touch it. The sauce was “weird.” So I went all turkey and did the regular sauce (go with whatever sauce your kids love) and added turkey meatballs that had shredded veggies in it. Pro tip: slather those babies up with the sauce when you cut them up lest you risk some of those veggies being spotted. I did go back and forth about the psychology behind hiding the nutritious stuff versus force feeding it to her in its regular form as a side dish, and ultimately, I landed on hiding it for my own sanity. Props to you parents out there who will sit at a dinner table for two hours with a screaming toddler who refuses to take a bite of broccoli, but I just don’t have it in me. What are your favorite ways to get your kids to eat their veggies?